Study reveals that there is a cheaper, safer and much tastier way to lower your elevated LDL cholesterol levels. It was once thought that all cholesterol was bad and that dietary cholesterol was the cause of elevated levels. Decades of low fat and cholesterol reduced diets lead to virtually no reductions in cardiovascular deaths. Now we know that dietary cholesterol is actually very important for health and that an elevated LDL level is the one to watch when it comes to cholesterol levels. So how do we lower LDL and reduce cardiovascular risk while maintaining health HDL levels? The answer might be in your pantry in the way of bee pollen and honey. Scientists set out to assess the effectiveness of treating patients with high LDL (the bad cholesterol) and low HDL (the good cholesterol) with honey, bee pollen and bee bread. What is bee bread? As it turns out, bees do not consume their pollen fresh. Instead, they take it into the hive and pack the granules into empty comb cells, mixing them with nectar and digestive fluids and sealing the cell with a drop of honey. Once processed in this way, the pollen remains stable indefinitely. Beekeepers call this form of pollen ‘bee bread’. 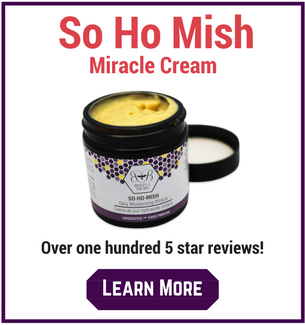 157 patients (64 males and 93 females) aged 39 to 72 with poor cholesterol status were administered the bee products. The patients were divided into four groups: patients on a high cholesterol diet only, patients on the high cholesterol diet AND honey or pollen, patients just on bee bread, and a combined treatment - diet, honey, and bee pollen. 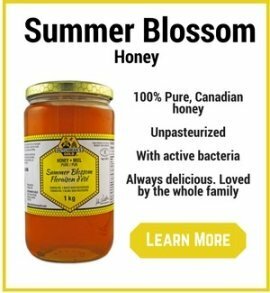 What the scientists found was a significant hypolipidemic (cholesterol lowering) effect in patients taking the honey in combination with bee pollen - total cholesterol decreased by 18% and their LDL cholesterol by 23.9 %. Those ingesting the bee bread had their total cholesterol decrease by 15.7 % and their LDL cholesterol by 20.5 %. Unfortunately, due to its highly perishable nature, bee bread is quite hard to come by and not widely available commercially. That's ok because the study found that those consuming bee pollen and honey on its own fared better than the group eating bee bread - LDL decreased 23.9% versus 20.5%. The study leaves us without some key pieces of information, most importantly how much bee pollen and honey were ingested and for how long. So what are you to do? Until more studies are done, you'll need to become your own 'scientist' and do your own 'personal trial' in the comfort of your home. Begin taking raw, unpasteurized honey daily in the amount of 1 tsp up to 2 tablespoons per day. 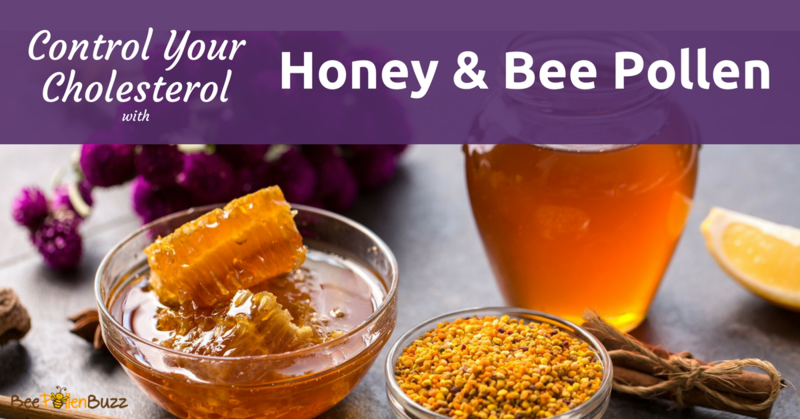 Do the same with bee pollen, 1 tsp up to 2 tablespoons per day. Take these exact amounts for 3 - 6 months and then have your cholesterol retested. If your LDL cholesterol has decreased in a sufficient manner, continue with this daily dose. If your LDL cholesterol has not decreased sufficiently, double the daily dose and retest in 3 - 6 months. Continue with the pattern of adjusting your dose and retesting until you find the dose that lowers and maintains your LDL cholesterol at healthy levels. There are many Raw honey and bee pollen products on the market, many of which are very poor quality with very suspect ingredients. 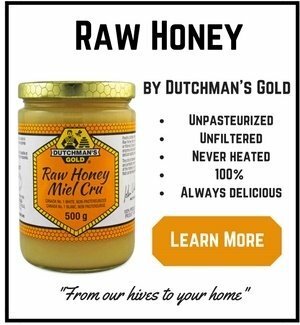 I use and recommend only Dutchman's Gold Raw Honey and Bee Pollen products. You can find them here. The full study can be found (in Russian) in the journal Ter Arkh, 2011;83(8):58-62.